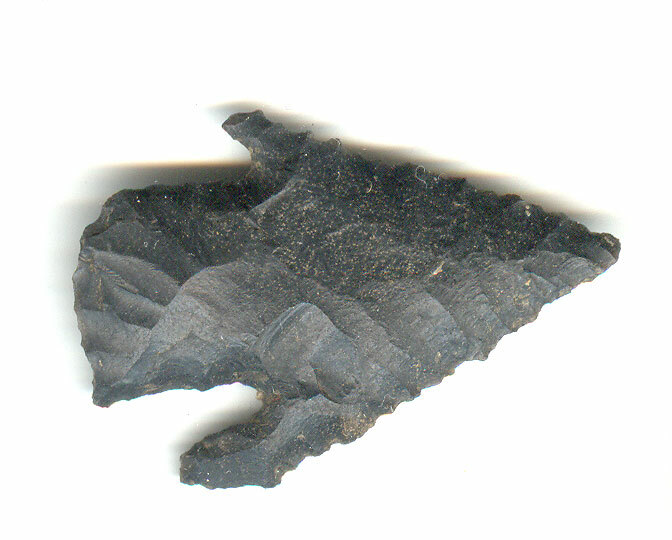 A Small Size, Heavily Anciently Use Sharpened And Visibly Aged, Nicely Flaked Calf Creek Point That Exhibits Surface Frosting Aging And Overall Stone Coloration Patination, Aging In The Basal Stem Notches, Correct Blade Sharpening Use Reduction, Correct Style Base, Notching And Overall Shape, Aged Surface Deposits, Correct Material And Manufacture For The Area Found. Repeated Use Sharpening Has Reduced The Blade Length And Width To The Hafted Area, Almost Resulting In The Elimination Of One Tang. Complete Calf Creek Points With Both Tangs Are Rare And Difficult To Obtain! Includes A Ken Partain Certificate Of Authenticity!